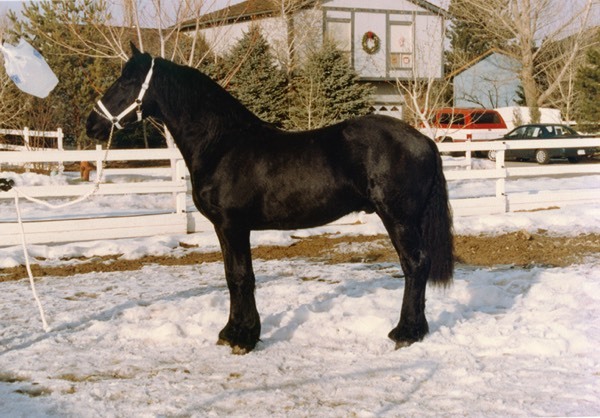 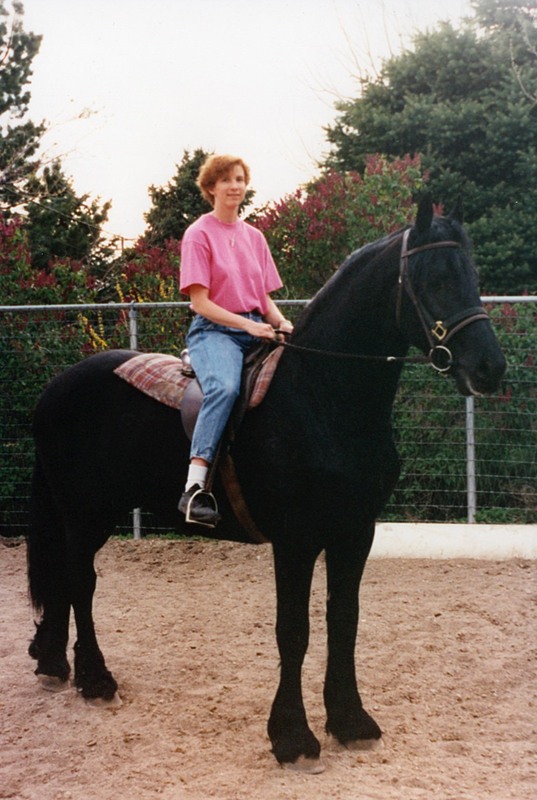 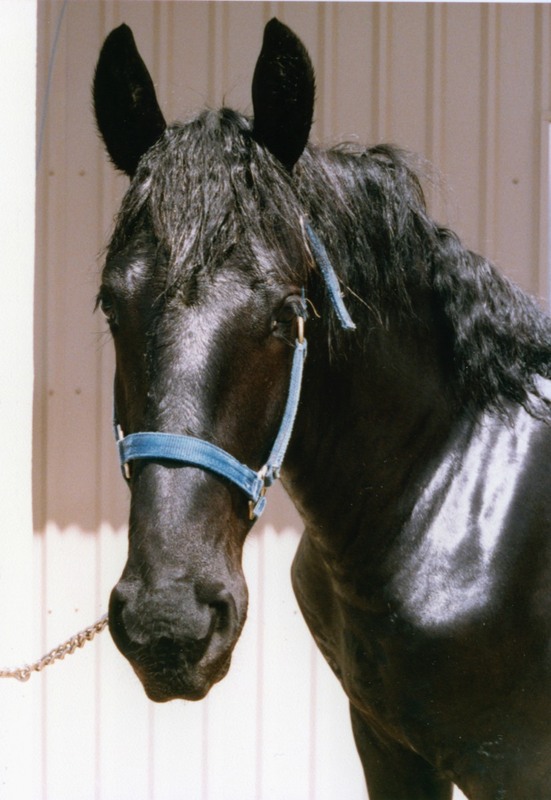 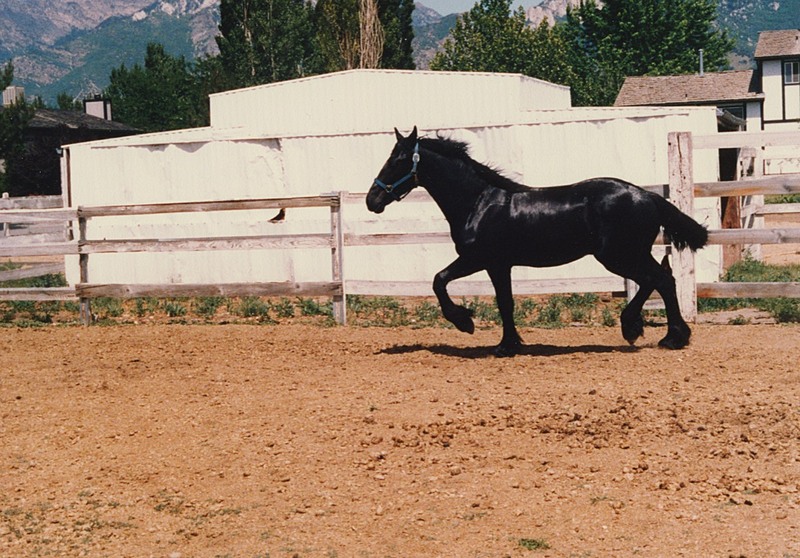 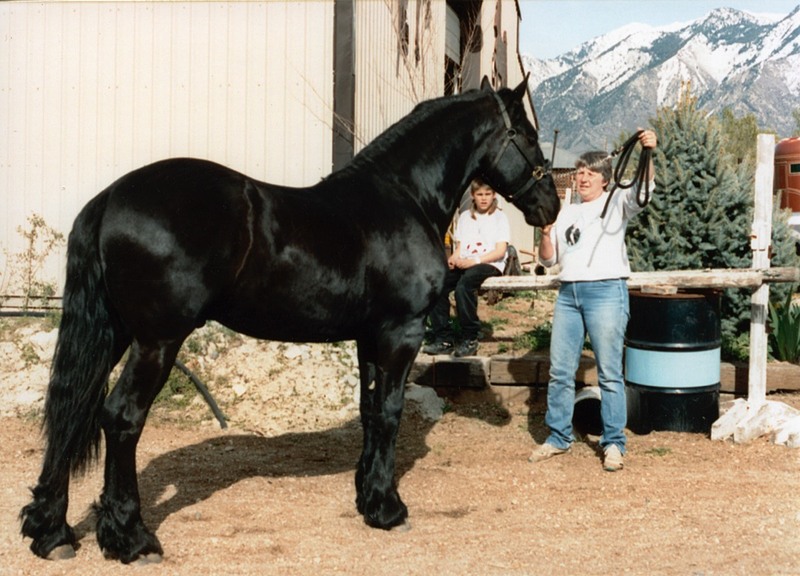 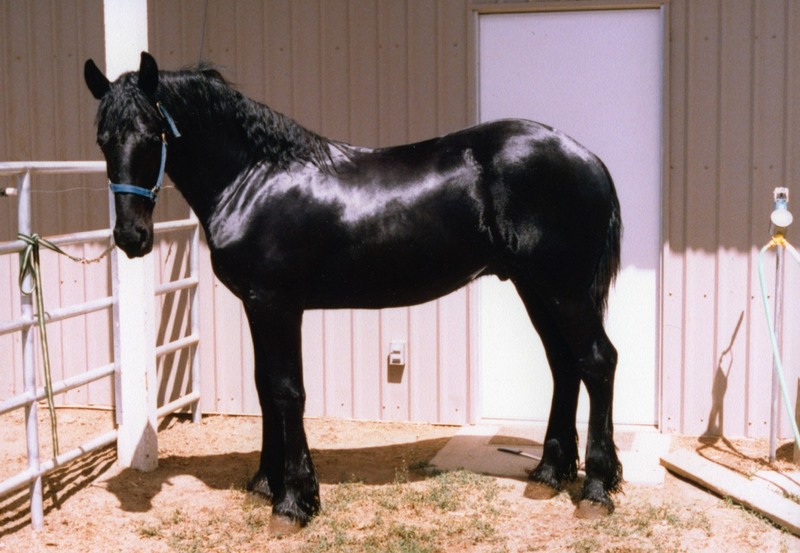 Warlock was the first Friesian purchased by Black Magic Farms and the first Friesian to come to the state of Utah. 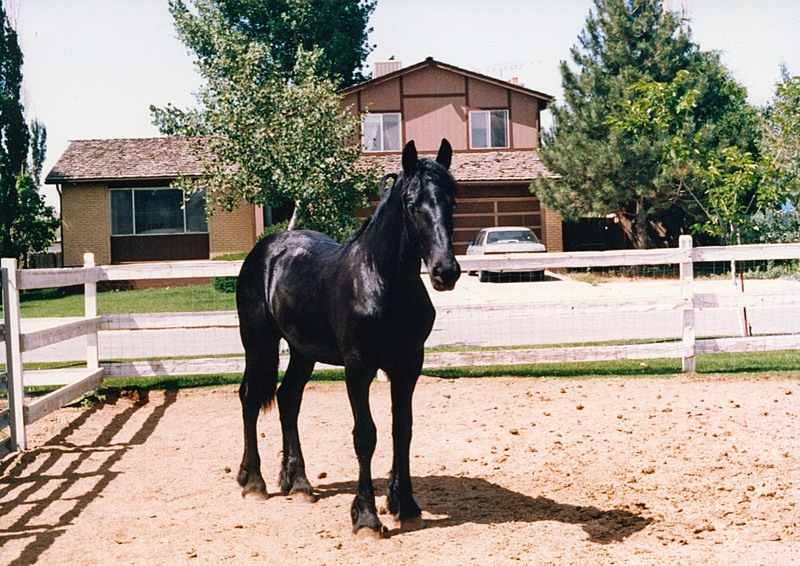 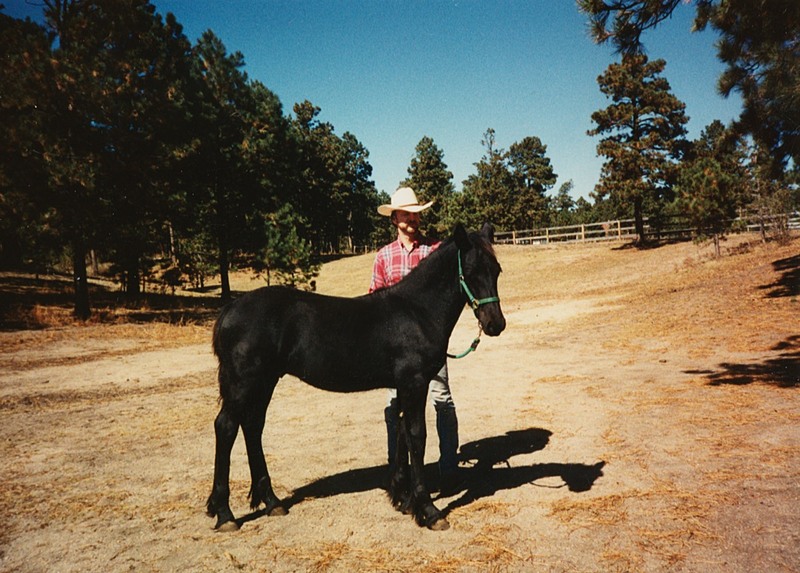 Purchased as a yearling, Warlock quickly grew into a tall, baroque stallion. 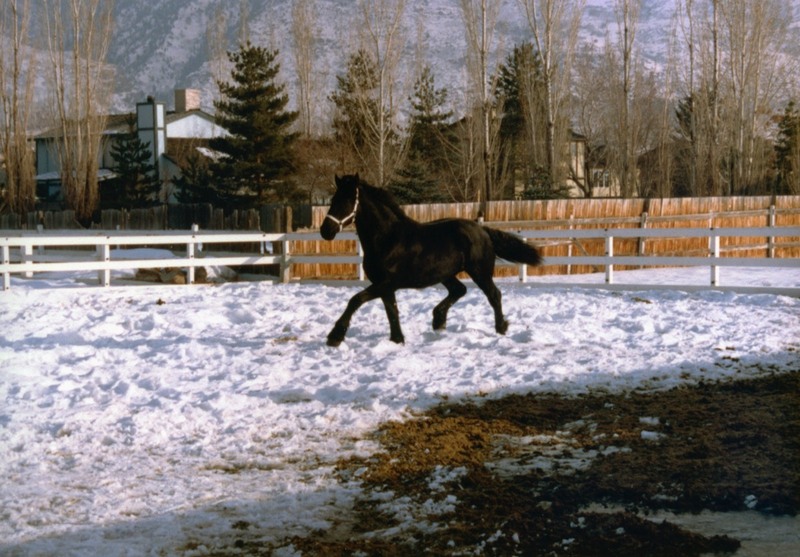 His sweet disposition and gentle nature made him easy to handle and train. 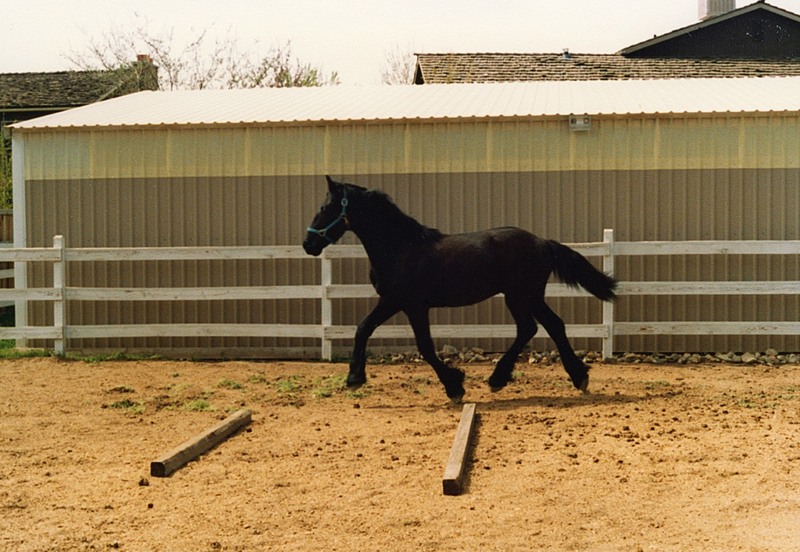 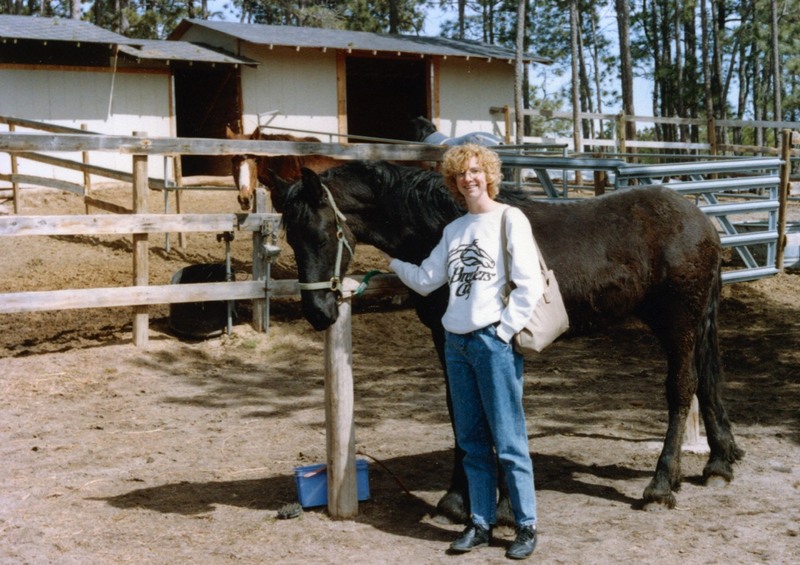 It became evident early on that he was not meant to be a dressage horse, lacking both the desire and forwardness needed for the sport, but we had hopes of driving him. 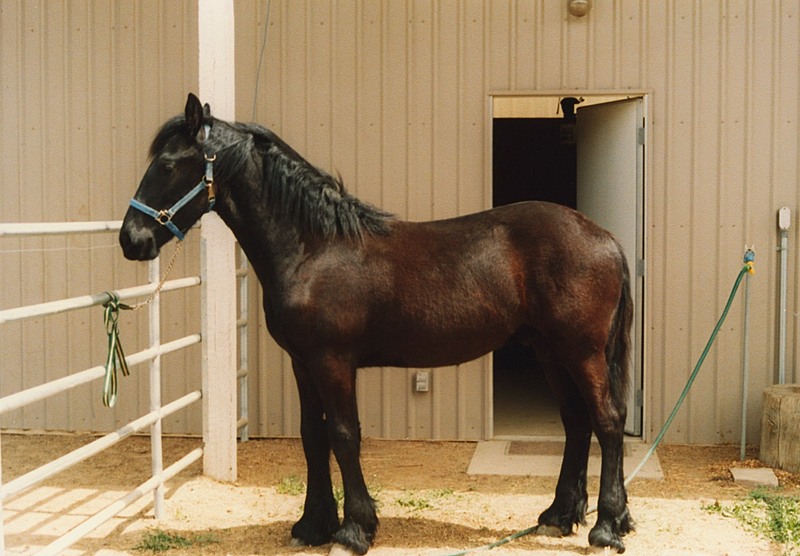 Tragically, Warlock severely colicked at the age of two and a half and passed away. 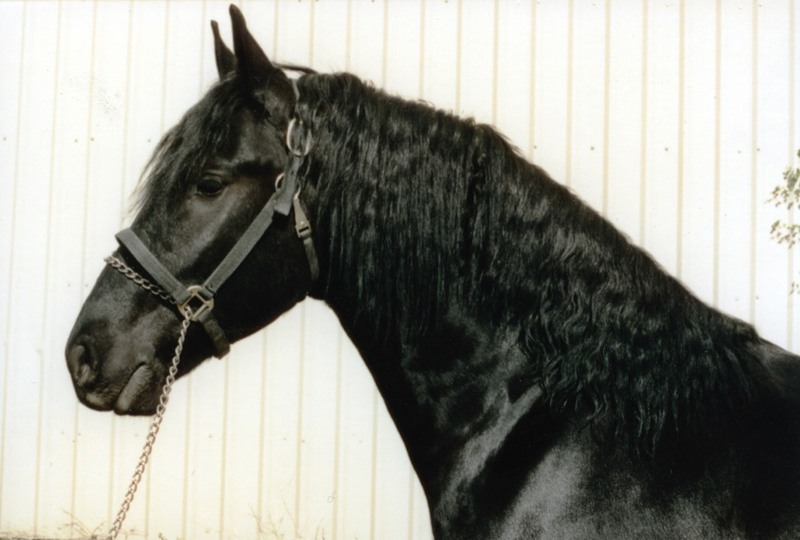 Although our time together was brief, he cemented our love of the breed and we will forever be grateful for the time and love he gave to us.